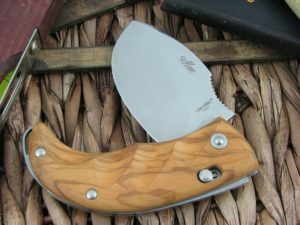 The Lion Steel Skinner is a hunting jack-knife with block. The blade has been designed specially for skinning, it is made of 440C stainless steel. The inner layers in steel ensure a good strength of the knife. 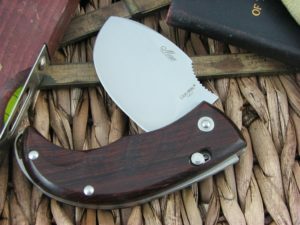 It is available in Cocobolo wood, olive wood or black G10 handle The knife is equipped with the OCS System to ensure greater safety while working. O.C.S. System: Open and Close Security System. 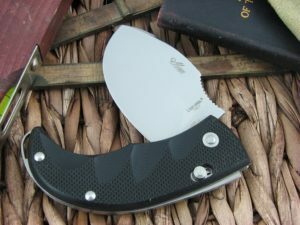 New LionSteel System (Patent pending) which ensures the automatic block of the blade both in open and closed positions. With a simple move of your thumb, you can operate the block and free the blade.